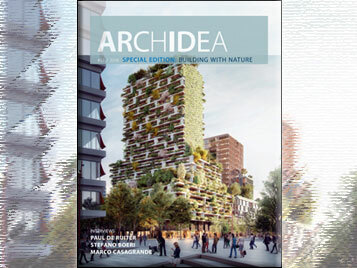 Le concept derrière ArchIdea est d'étendre nos connaissances et notre vision en offrant aux architectes reconnus une plate-forme par laquelle ils peuvent exprimer leurs avis et visions sur l'architecture. Les intérieurs de plusieurs projets impliquant les revêtements de sol Forbo sont considérés comme une forme d'inspiration. Les projets nous montrent les nombreuses possibilités fournies par les produits de Forbo. 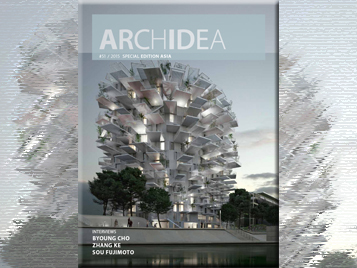 Die ArchIdea No. 57 widmet sich dem „Bauen mit der Natur“. 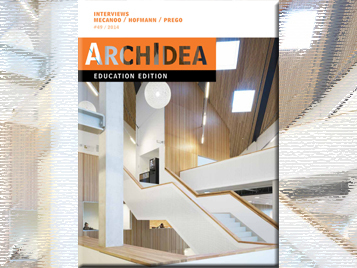 Genau wie die drei ausgewählten Architekten, die ihre Architektur und Philosophie in dieser Ausgabe vorstellen: Paul de Ruiter (Niederlande), Stefano Boeri (Italien) und Marco Casagrande (Finnland). Lassen Sie sich inspirieren von ausgewählten, naturnahen Bau- und beispielhaften Referenz-Objekten! 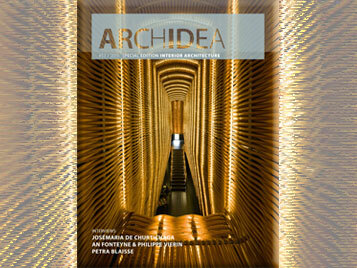 Die ArchIdea No. 56 blickt auf einen oftmals vergessenen Kontinent: Afrika. 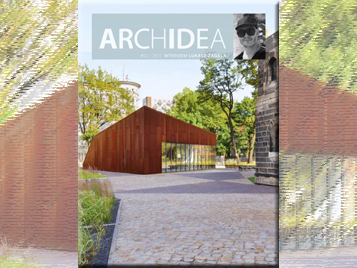 Wie entwickelt sich Architektur auf diesem großen und wenig homogenen Erdteil mit seiner bewegenden Geschichte, dem Erbe des Kolonialismus und seinen existenziellen Problemen? What is about a company that makes it special? Was is its story? These questions underlie the workplace interiors for technology companies designed by Studio O+A. "We strive to create environments that correct people back to being human." Lukasz Zagala: “We use rough materials, but we bring their beauty to the surface in the way we use them and put them next to one another. 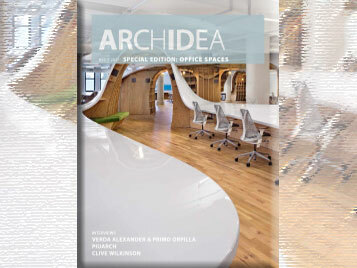 The combination of materials creates a new space, a new feeling - something that is not mainstream." 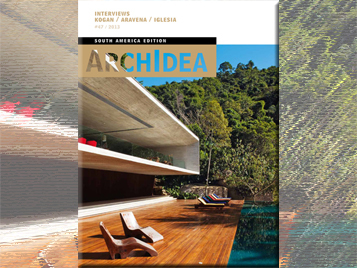 Interview with Marcio Kogan: The architectural approach of one of the leading architects of Brazil, Marcio Kogan, shows some intriguing contradictions. 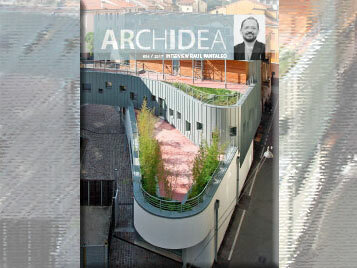 He pushes the design of a house to the limit, but at the same time he advocates simple solutions that are sustainable. 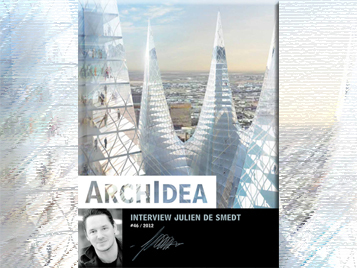 Interview with Julien De Smedt: “Iconography as such is not all that interesting," says the architect Julien De Smedt. He also has reservations about aesthetics: "It is a mistake to rely on a paper-thin personal judgement about beauty." 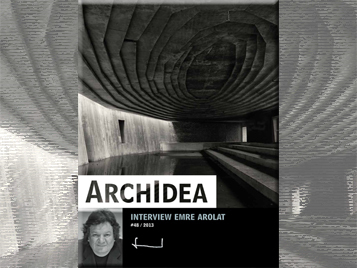 In his architecture, his primary aim is to activate people. 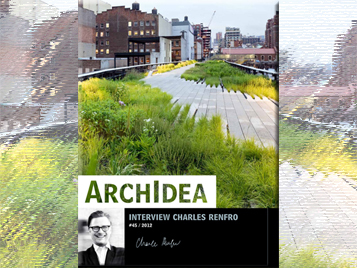 Interview with Charles Renfro: The architect Charles Renfro, of Diller Scofidio + Renfro, likes to turn everything on its head a bit. According to him, a trick, a pleasure of a discomfort wakes people up. "Why invent something when you can somply see it happen around you? Life is always more interesting than art." 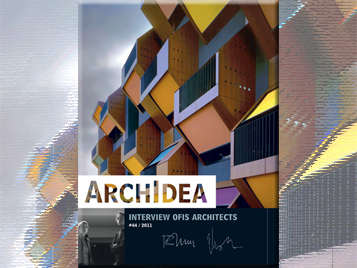 Interview with Ofis Architects: The young architectural office has been attracting attention from the international architectural press with some original, playful, beautiful and conceptually interesting designs. Interview with Retail Edition Studio Concrete in Amsterdam spurns the conventional boundaries between architecture, interior design and graphic design. Interview with Rob Wagemans, Concrete: The designs by the studio Concrete, based in Amsterdam, are minimalist but at the same time narrative. "We try to resolve everything for our clients so that the shop needs no additional explanation." 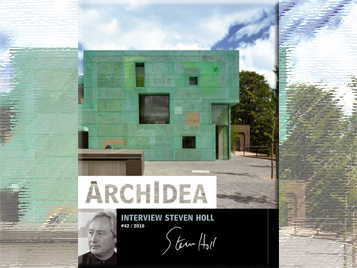 Interview with Steven Holl: Ideas drive the designs of architect Steven Holl. In many cases his ideas spring from musical concepts. 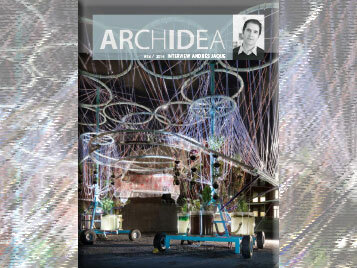 But the idea is not the architecture, he stresses. Architecture consists above all of real space, material and light. "You know the design is good when the idea, the structure and the material all line up." 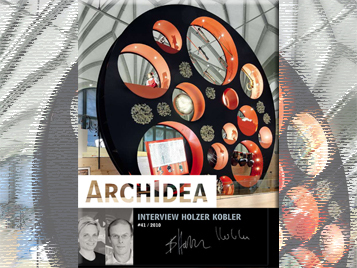 Interview with Holzer Kobler: Architecture must communicate, and it is the community that is the recipient of this communication. 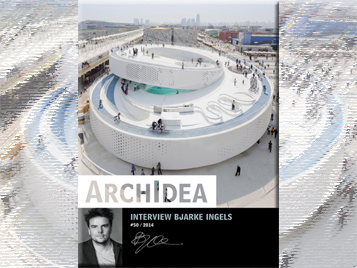 That is how Barbara Holzer and Tristan Kobler see their role as architects. "The way you move through space is what really counts. That implies having a fragmented view of space. For a visitor, there is no birds' eye view." 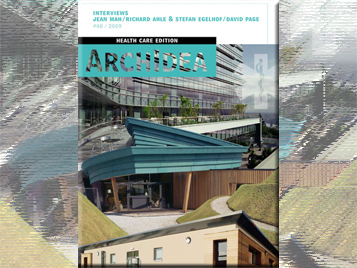 Interviews with Jean Mah, Richard Ahle & Stefan Egelhof and David Page: The interior of several health care projects involving the use of floors and furniture surfacing from Forbo Flooring as form of insiration. The projects are located in various parts of the world and show the many possibilities provided by Forbo’s products. 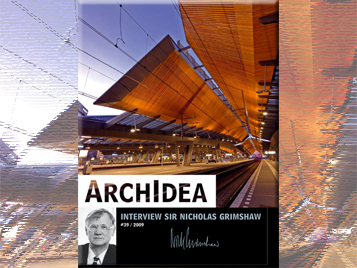 Interview with Sir Nicholas Grimshaw: Sir Nicholas Grimshaw believes strongly in the satisfaction of looking at joints and details. "I love trying to understand the way things come together." 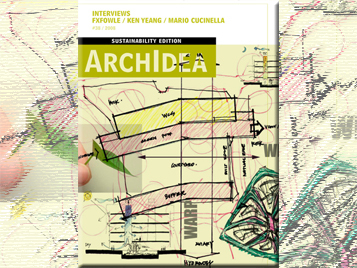 Interviews with FXFowle Architects, Ken yeang and Mario Cucinella. “Creating better environments” begins with caring for the environment. In this section Forbo Flooring Systems presents unique projects and initiatives that help improve our day to day working and living environments. 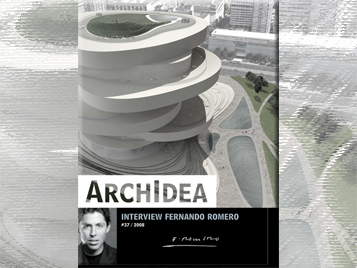 Interview with Fernando Romero: The Mexican architect Fernando Romero aspires to connect what is global with local circumstances, but in a critical manner. "There's no real reason to keep doing things in the most simple, rational way. 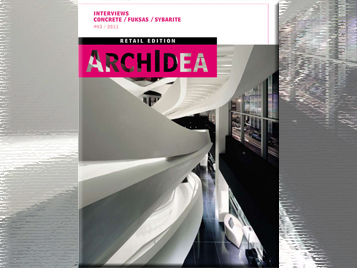 Materials and construction techniques have developed a lot since modernity began." 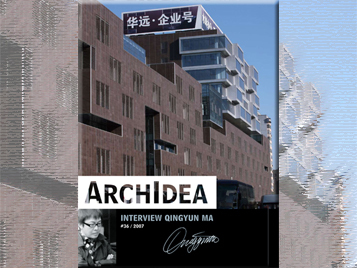 Interview with Qingyun Ma: The Chinese architect Quingyun Ma is not an advocate of "Chinese" architecture. In his opinion, buildings are adorned with Chinese symbols for purely ideological reasons. "Chineseness is not in the building: it's how we interact, do business and absorb things."